The heartland state of Madhya Pradesh, where the Congress is hoping to unseat the three-time winner BJP, saw a spike in turnout in today's assembly elections. Mizoram, which the BJP is trying to wrest from the Congress, saw a considerable dip. From 72.7 per cent in 2013, the provisional figure for Madhya Pradesh was 74.6 per cent. The corresponding drop in Mizoram was higher -- 77 per cent, down from last election's 83.4 per cent, the Election Commission said. 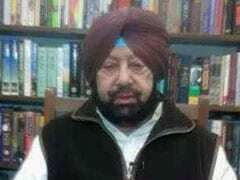 Punjab Chief Minister Amarinder Singh today came down heavily on Pakistan and said terrorists from across the border were targeting civilians and security personnel in his state. 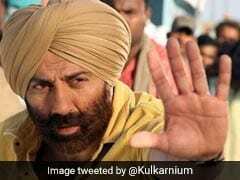 Mr Singh, in an exclusive interview to NDTV on the Kartapur corridor, justified why he turned down the invite by Pakistan for the stone-laying ceremony, and said he "cannot shift his vision completely while terrorists come here and kill our people." The chief minister also said trusting the Pakistan government would be impossible until its army is reigned in. "But does Imran Khan run the army, or does the army run Imran Khan?" he asked. The launch of the Kartarpur corridor between India and Pakistan was packed with controversy on Monday as a credit war erupted between the Akali Dal, an ally of the ruling BJP at the centre, and Punjab's ruling Congress. 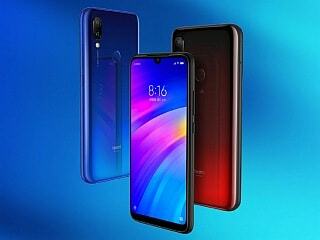 The proposed corridor has also seeded a new point of conflict between Punjab Chief Minister Amarinder Singh and one of his ministers, Navjot Singh Sidhu, who has been effusively pushing the project since his visit to Pakistan in September for cricketer-turned-politician Imran Khan's swearing in as the country's prime minister. 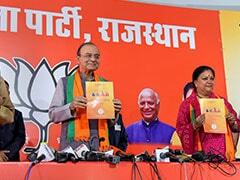 The BJP-led government in Rajasthan has fulfilled 95 per cent of the promises made in 2013, the party claimed while releasing its manifesto ahead of the assembly elections in the state on December 7. Vasundhara Raje, who is eyeing a second term as the chief minister, said her government prioritised development work and welfare schemes in the last five years and promised the same for the next five. Union ministers Arun Jaitley, who unveiled the manifesto along with the chief minister and senior BJP leaders, said the party's model for the state and centre are interlinked and have a common vision. 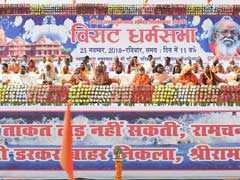 Ayodhya turned into a fortress as right-wing group Vishwa Hindu Parishad held a massive gathering to mobilise support for the building of a Ram temple. The meet demanded that the government pass an ordinance or executive order to bypass the legal process. The Ayodhya title suit is pending in the Supreme Court, which will take a call on a date of hearing in January. Shiv Sena chief Uddhav Thackeray, who has been in Ayodhya since yesterday and held a rally, warned that unless the temple is built, the BJP would find itself out of power. Shiv Sena chief Uddhav Thackeray, who landed in Ayodhya today, wants Prime Minister Narendra Modi to announce a date when the construction of the Ram temple will begin. "First say when will you construct the temple, the rest we will talk later," he said in what sounded like a dare to the BJP ahead of next year's Lok Sabha elections. 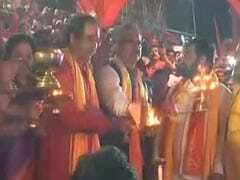 Mr Thackeray along with his wife Rashmi and son Aditya participated in aarti along the banks of the Sarayu river. Thousands of Shiv Sena arrived in Ayodhya today for Ram Lalla's darshan. 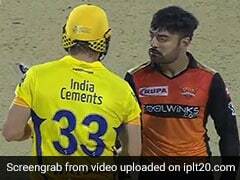 Another big event is lined up for Sunday by right-wing organisation Vishwa Hindu Parishad. Security has been tightened in Ayodhya with thousands of police and paramilitary personnel keeping a strict watch to keep the situation under control. Thousands of farmers from Maharashtra ended their agitation on Thursday evening, after Chief Minister Devendra Fadnavis gave a written assurance that most of their demands would be met within three months. The agitators -- comprising farmers as well as members of the tribal community -- had reached Mumbai's Azad Maidan that afternoon, two days after launching their protest march from Thane. They were seeking loan waivers, drought-related assistance and an enhanced minimum support price for crops, among other measures. This mass protest, held under the Lok Sangharsh Morcha (LSM) banner and supported by political parties such as the Janata Dal (Secular), Aam Aadmi Party and the Shiv Sena, was the third to be taken out in Maharashtra this year. Jammu and Kashmir is headed to elections two years before term with Governor Satya Pal Malik dissolving the assembly on Wednesday evening, a controversial decision that critics say is open to legal challenge. The Governor acted swiftly after two alliances - one supported by the BJP - staked claim to power within minutes of each other. "There was no imminent reason to dissolve it before as "no one had come with a horrible proposition to form government," the Governor told NDTV this morning. 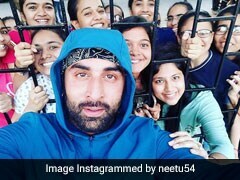 Former chief minister Mehbooba Mufti, who had teamed up with her long-time political rival Omar Abdullah and the Congress for a shot at forming government, alleged that the Governor acted on the centre's orders to block her as the BJP tried to prop up People's Conference leader Sajad Lone and engineer defections. 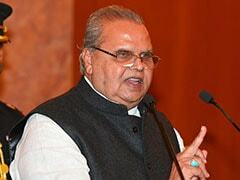 Jammu and Kashmir Governor Satya Pal Malik dissolved the state assembly on Wednesday evening after rival claims to form government from former Chief Minister Mehbooba Mufti and People's Conference leader Sajad Lone, who is backed by the BJP. Ms Mufti said her Peoples' Democratic Party has the support of arch-rival Omar Abdullah's National Conference and the Congress. The state has been under Governor's Rule since June, when the BJP ended its ruling alliance with Ms Mufti. In a statement, the governor justified dissolving the assembly citing reports of extensive horse trading. 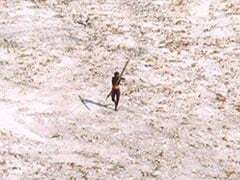 The Sentinelese, an aboriginal tribe of hunter-gatherers who have lived isolated from the outside world for almost 60,000 years, killed an American man who landed on one of the islands in India's remote cluster of Andaman and Nicobar. The North Sentinel Island -- home to the Sentinelese tribe -- is out of bounds for visitors. They used arrows to kill the man identified as John Allen Chau after he was illegally ferried there by fishermen, the police said. Very little is known about the tribe, one of the most protected ones in India. 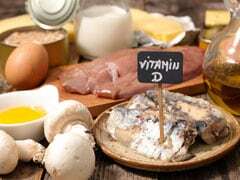 Scientific observation over the last three decades has gathered only elementary knowledge about them and their lifestyle. 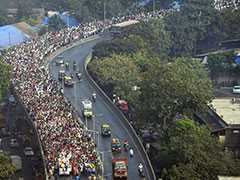 Over 20,000 farmers have started a two-day march from Thane to Mumbai's iconic Azad Maidan, eight months after a similar protest saw a sea of red - formed by farmers in red caps - on a long march through Maharashtra. The farmers are demanding compensation for drought, an unconditional farm loan waiver and the transfer of forest rights to tribals. In the run-up to the 2019 national election, states like Maharashtra, Karnataka, Andhra Pradesh, Madhya Pradesh and Punjab have been facing massive farmer protests. On November 18, over 70 trains were disrupted in Punjab near Dasua, where farmers sat on rail tracks protesting non-payment of sugarcane dues by the state government. Enraged over leaks to the media in the highly-sensitive case centred on corruption charges swapped by two bosses of the country's top investigating agency, the CBI, Supreme Court judges today said: "None of you deserve a hearing." 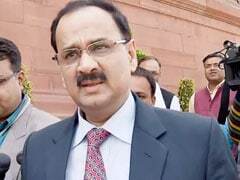 CBI director Alok Verma's petition will be heard on November 29, the top court said, and repeated itself later. Alok Verma has petitioned the top court against the government's decision to strip him of his powers and send him on compulsory leave. 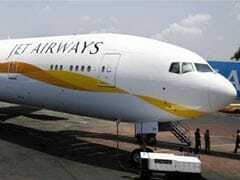 Last week, the Central Vigilance Commission submitted its report on corruption allegations against him. The report, along with the CBI chief's response to it -- both submitted in a sealed cover -- are to be taken up but the court questioned how the contents were leaked and published by a news website. 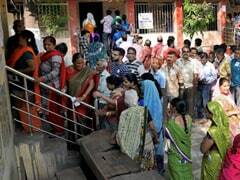 Nearly 72 per cent voting was recorded as polling came to a close in the second and final phase of Chhattisgarh assembly elections, the Election Commission announced this evening, taking the overall turnout in the two phases to 74.17 per cent so far. However, the number is likely to go up as the second phase figures are provisional. The 2013 elections saw a 77.8 per cent turnout. More than one lakh personnel, helicopters and drones kept a vigil to ensure smooth polling. After a promising 76.28 per cent turnout in the 18-seat first phase in Maoist-affected areas, the second phase saw voting for 72 seats spread across 19 districts. 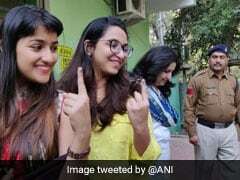 More than 1.5 crore people were eligible to vote in over 19,000 polling booths, deciding the fates of many high-profile leaders. 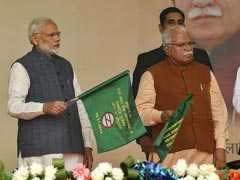 Prime Minister Narendra Modi inaugurated the Kundli-Manesar-Palwal (KMP) Expressway in Gurgaon on Monday. Inaugurating the expressway, PM Modi said, "It is a significant day for Haryana...it will bring about a transport revolution in the state." 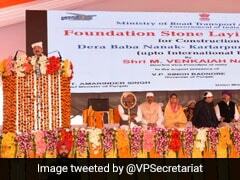 Hitting out at the earlier UPA government, PM Modi said that the expressway should have been ready a decade ago, during the Commonwealth Games, but due to corruption, it was delayed. Ahead of the inauguration, Congress spokesperson, Randeep Surjewala questioned will the Prime Minister or the Haryana Chief Minister take responsibility of "endangering people's lives by inaugurating an "incomplete highway." A crucial board meeting of the Reserve Bank of India has begun amid reports that the government has proposed a change in rules that will enable tighter supervision of the country's central bank. The move will give supervisory role to the board, which, critics say, is already filled with the government's men. 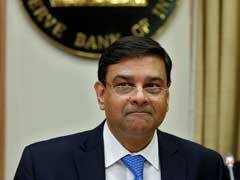 While the move is seen as heightening tensions between the centre and the bank, sources said there are efforts to find middle ground and it is unlikely that the bank chief Urjit Patel would resign.